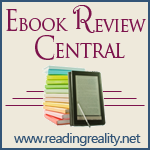 Ebook Review Central for Samhain Publishing for November 2011 – Escape Reality, Read Fiction! Happy New Year everyone! But even if it is 2012 in the rest of the world, it is still 2011 at Ebook Review Central for a few more weeks, at least until the rest of the November and December titles cycle through. 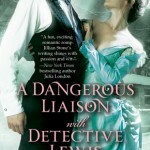 This week it’s Samhain Publishing’s November 2011 turn at bat. We’re here to take a look at the 33 titles Samhain released just a few short weeks ago. There are a few interesting things to note. Samhain’s list is bigger than any of the other publishers that ERC covers. 33 titles compared to Dreamspinner’s 22 or Carina’s 19. It’s a chunk. Samhain has also added straight-up horror to their line. So far, the reactions have been mixed. The review sources are different, and a couple of titles (Dead of Winter, Borealis) have received some excellent reviews. But it’s starting to look like the Samhain titles get reviewed during the first month of publication, but not so much after that. Except for “Best of the Year” lists. the September and October lists didn’t receive very many updates. We’ll see if the trend continues. On to the featured books for this month. Wow, was I blown away by the reviews for a few of these titles. The reviews for certain books usually tell me which books should be featured, either by the sheer number of reviews, by the quality of the ratings, or both. But this month, these titles really jumped off the page. Once Upon a Winter’s Eve by Tessa Dare is book 1.5 in Dare’s popular new Spindle Cove series. This 99 cent novella is sandwiched in between A Night to Surrender (August 2011) and A Week to be Wicked (March 2012). And this is also a Christmas story, and was released just in time to capture the holiday reading spirit. Tessa Dare is a terrific and popular author; every one of her books has received at least a 4/4.5 rating at RT Book Reviews. This particular story is reviewed as a fantastic introduction to her work, and a standalone introduction to her new series. And it was short and very, very inexpensive. Is it any wonder that Once Upon a Winter’s Eve received 18 reviews this month? Rocky Mountain Heat by Vivian Arend generated a lot of reviewing heat all on its own. With 19 reviews, this is clearly a book that people are not just reading, but also talking about. Rocky Mountain Heat is the first book in Vivian Arend’s Six Pack Ranch series. This is a contemporary western romance of the very hot and steamy variety. That so many reviewers felt strongly enough to write a review says that this is a book that will be requested and read. And it’s the first book of six in a series. Everyone is eagerly awaiting the next book, which will generate even more interest in the first book. Demon Bait by Moira Rogers is also the first book in a series. Rogers’ series is titled, Children of the Undying, and it is billed as Post-Apocalyptic/Cyberpunk, so this is probably as far from the family dynamic in Rocky Mountain Heat as it can get. On the other hand, for readers who like their hot paranormal/futuristic romance with a mixture of angels, demons and what sound a lot like computer hackers, this one looks like a real winner. Eleven reviews, including a “2011 Favorites” from MinnChica at The Book Pushers, pushed Demon Bait into the third featured slot for this month. That’s a wrap for this week. See you next Monday with our last post from way back in November 2011, covering Amber Quill, Astraea, Liquid Silver and Riptide. Thanks for the look at the interesting reads. 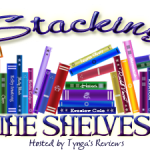 I don’t always give the small presses much of a chance (I’ve yet to pick up something I liked from Carina, but I mostly read steampunk and science fiction romance so that can limit things), but I think I have liked some of the Samhain books I’ve tried. Carina does publish some science fiction romance. Zoe Archer’s Collision Course, and the sequel Chain Reaction due later this month are both SFR. And if you really love SFR, check out The Galaxy Express at http://www.thegalaxyexpress.net/ for a really complete list of forthcoming titles. Demon Bait’s reviews looked so good, I bought a copy myself.